Our Northern California office is seeking a candidate with a strong Project Manager skill base and an ability to provide technical direction on site remediation projects. A successful candidate will interact with the client and regulatory agencies. In addition, a successful candidate will supervise technical staff performing environmental and engineering consulting services for a variety of clients including, but not limited to, Fortune 500 industrial clients, real estate developers, attorneys, petrochemical, and manufacturing companies. Direct communication with the client is required. 10+ years environmental consulting experience. Various certifications preferred (i.e., P.E., LSRP, LEP, etc.). Absent certifications, a minimum requirement is 7+ years working with a certified/licensed Engineer. Meet client budget and schedule needs. Provide junior staff with training and mentoring opportunities. Strong data evaluation and analytical skills. Work with Principals and other senior professionals to scope, cost, plan, and execute due diligence/preliminary assessment, ISRA compliance, multi-media site/remedial investigation, and remediation projects (may include hydrogeologic assessments, chemical and hydrogeological data evaluation, data visualization, regulatory agency interactions, and reporting). Willingness and ability to train junior staff with respect to technical requirements, regulatory programs, writing skills, and verbal communications. 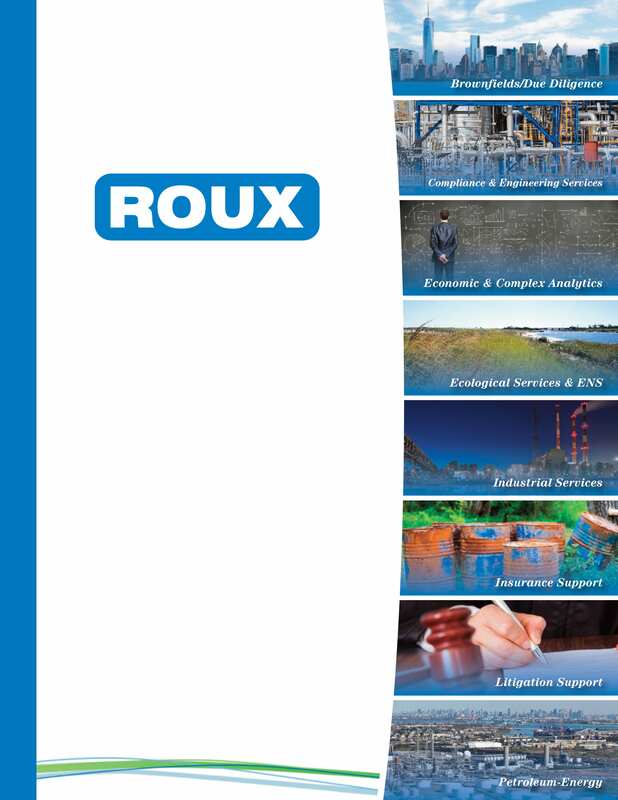 Developing work scopes and budgets to meet client goals and expectations, as well as Roux business objectives. Directing specific work tasks that fall within your areas of expertise. Performing senior-level interpretation work, including remedial cost estimates, future remedial measures selection, and costing. Developing and maintaining productive relationships with clients and regulatory agency personnel. Performing conceptual and detailed remedial system design work, treatment process and cost evaluations, facility inspections, and construction management. Management of projects to ensure that they are completed on time and within budget (scheduling/management of resources). Conducting environmental site assessments (ESAs) including site reconnaissance, records research, and preparation of Phase I reports. Supporting the business development efforts of the office by joining office Principals on sales calls and by taking a lead role in the preparation of technical proposals.